East Villagers love Halloween! It's the start of the holiday season that doesn't end until New Year's! And while it's probably true that it's never too soon to start decorating, people should remember that perishable decorations should be used sparingly until, oh, about October 24! 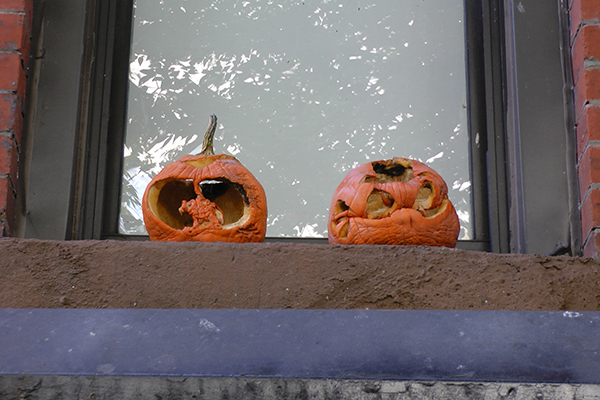 Then again, these prematurely-decayed pumpkins were on St. Mark's Place — they could be an art project! When life gives you pumpkins, make a sculpture — in the East Village Today!